A series of academic pieces including: media kit, media release, presentation, blogs, research papers and reports. 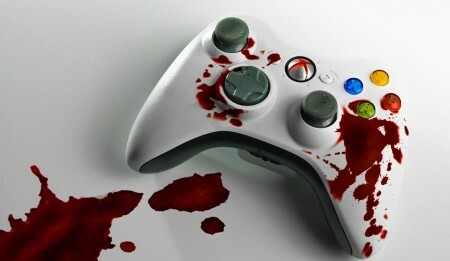 The argumentative stance taken for this debate is that violent video games do not cause aggressive behaviour in youth, but rather, previous dispositions from socialization of the individual, as well as the media’s influence on passive members in Western society shape one’s perception. It is believed that video games are, or have addictive qualities. In researching both sides of the argument, this presentation approaches the argument from a neutral standpoint as there is not enough conclusive scientific research for either position. A look at studying video games as a performative media through means of focusing on the StarCraft II franchise and the rise of eSports. A media release on Canadian musician LIGHTS and her debut studio album The Listening. Based on a fictional event. Produced media kit elements such as a news release, backgrounder, feature article, key personnel biographies, fact sheet, and other media elements. An academic research blog on Ethan Duggan, the creator of the "LazyHusband" app, and his pursuit of knowledge through media production. Academic blog with a focus on policy regarding children and television through application of the Broadcast Code for Advertising to Children. Analyzed news framing on the events of the Chilean miners rescue by utilizing three mainstream news sources. Analyzed social media strategies used by the non-profit organization Invisible Children Inc. Generated suggestions as to how the organization can leverage itself through using social media more effectively. eSports articles for Team Acer.